And popped back on the grill so that the cheese could slowly melt and all of the flavors combine to form a delectable feast for the mouth. 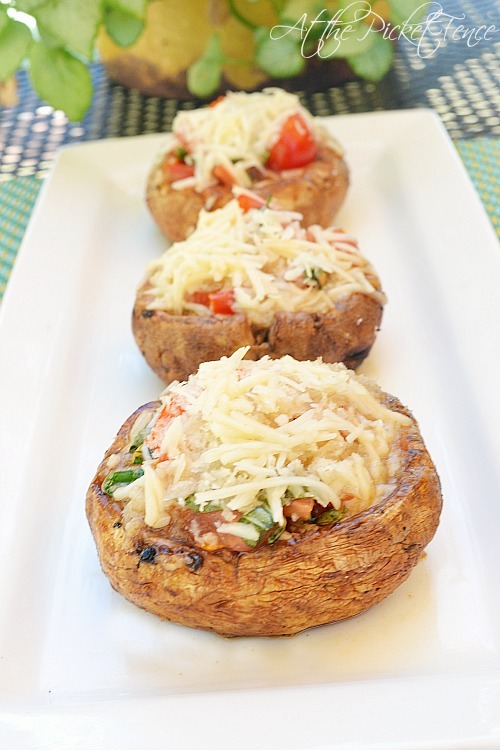 Maybe if my first introduction to mushrooms had tasted like these bruschetta grilled stuffed mushrooms and looked like this I would have felt very differently about them. When I think about all the years wasted not enjoying this deliciousness! 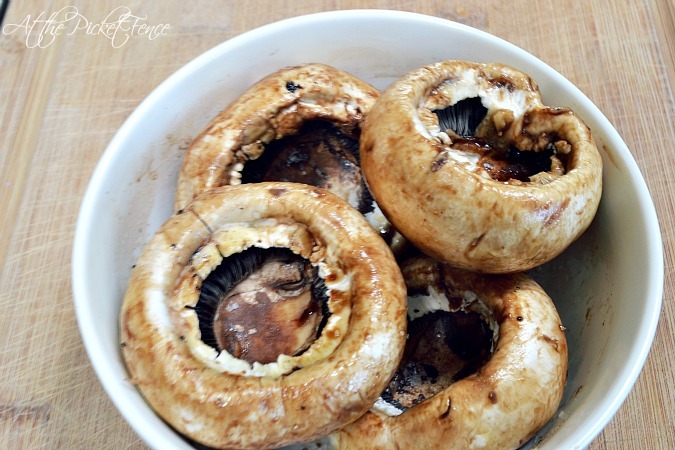 Wipe off mushrooms with damp cloth and gently remove stems.Place in bowl and coat with 1 Tbsp. olive oil, 1 Tbsp. balsamic vinegar, 1/4 tsp. salt and cracked black pepper.Set aside to marinate. For Bruschetta: Dice and seed tomatoes and place in medium bowl. Add 1/4 cup chopped parsley and 2 tablespoons chopped fresh basil. Mince 2 cloves of garlic and add to tomato mixture. Add salt and pepper, 1/3 cup olive oil and 1/2 tsp. sugar. 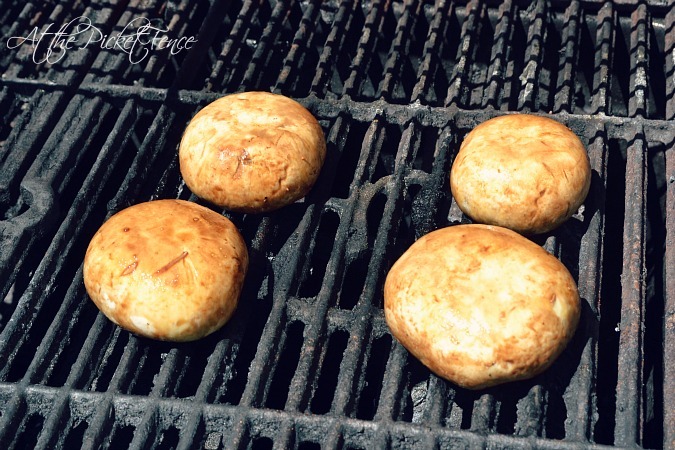 Place marinated mushrooms directly on grill rack and grill for 5 minutes on each side. 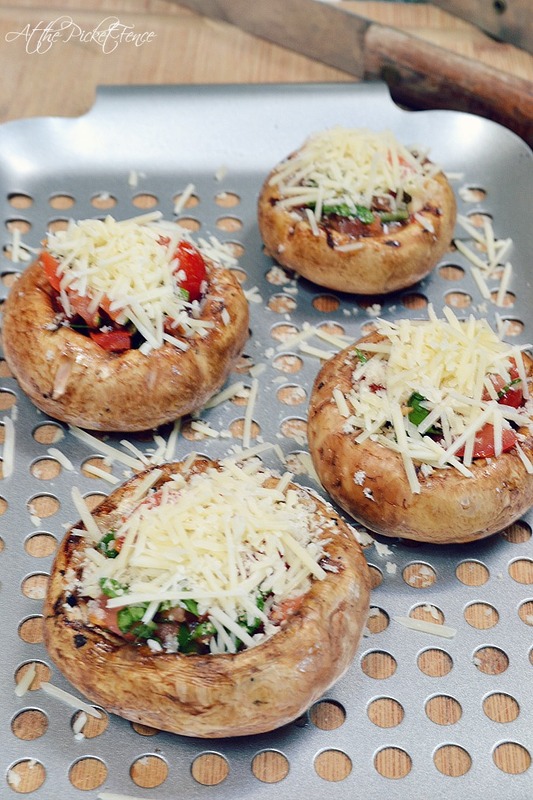 Remove from grill and stuff with bruschetta mixture then top each mushroom with 1 tablespoon each of Panko bread crumbs and grated parmesan cheese. Return to grill, lower heat and grill until cheese is melted. Enjoy! Oh, and word to the wise, if you happen to make these while your kids are at day camp then you can sit outside on your deck/patio and gobble all of them right up while reading a book and sipping on peach ice tea. And if that doesn’t make you fall in love with mushrooms then I don’t know what will! For more great recipe ideas be sure to visit our Recipe Page! 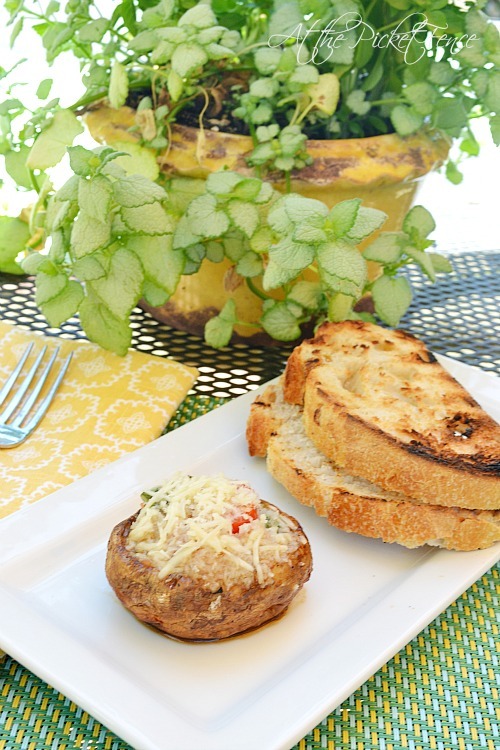 12 Comments on "Bruschetta Grilled Stuffed Mushrooms"
Those look so good. Thanks for sharing. Yum, I love mushrooms, one of my favorites. Thanks for sharing. Oh yes! We are in the love em’ camp!!! These are perfect for our grilling obsession! LOVE the bruschetta twist. Can’t wait to meet you in person at Haven!!!! 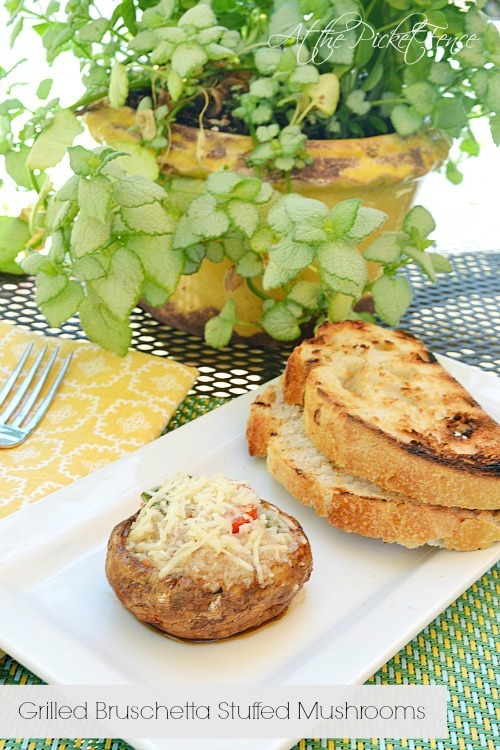 I love mushrooms and this recipe sounds divine! ohhh….yes please. I’ll eat these all day if you let me! Mushrooms are my fav!! These look absolutely magnificent!! I want to try them so badly, and I don’t think the husband likes mushrooms. It’s pretty sad that after 29 years I don’t know, but I just found out a year ago that he didn’t like watermelon. When you’re busy snarfing it in, you don’t pay attention. Dying over here-these look so delicious!